Light and sound are waves. All waves travel outward from the source that creates them, and all waves vibrate. A vibration is simply a back and forth motion around a position of equilibrium. 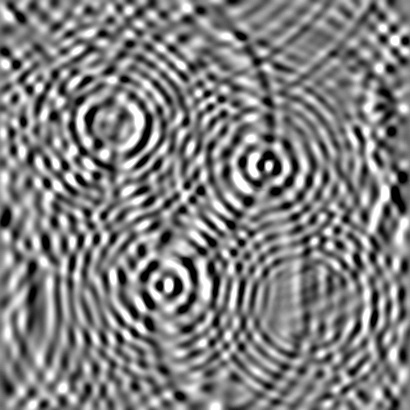 Light waves vibrate from side to side as they travel along a directional path. 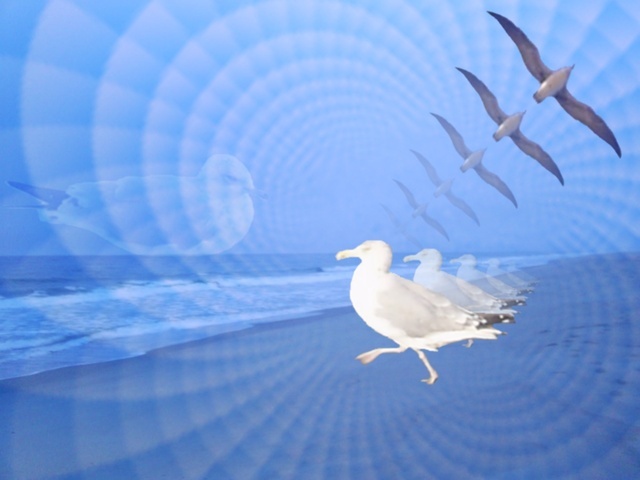 Normal sound waves in air vibrate from front to back as they propagate outward in all directions from their source. Light waves are electromagnetic; they are caused by combined electric and magnetic influences. 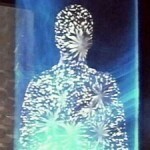 You can think of this as vibrational (electrical) resistance and (magnetic) conductivity of space. Sound waves are acoustic; they are mechanical in essence, requiring a medium in which to vibrate, such as gas, liquids, or solids. All known wave forms are either electromagnetic, acoustic, or, in the case of organic brain waves, electrochemical. No one quite knows exactly what LIGHT is, but we know a lot about what it does. 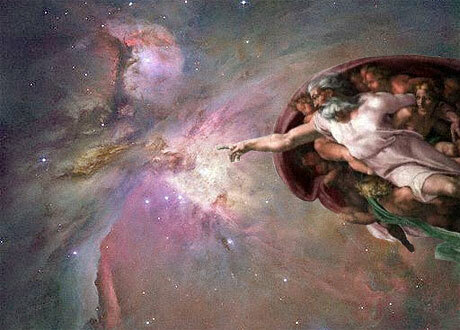 We do know that light is energy, that it travels through space, and that it is wavy. We also know that light travels at a phenomenal speed of about 186,000 miles in one second. Light is created when an electron moves from a higher energy state to a lower energy state within an atom, and when subatomic particles collide leading to particle decay. When we look at a star in the night sky, view light from the Sun, or turn on a light switch, we are looking at light energy created by the actions of electrons. Vibrations of light, known as photons, oscillate back and forth at different rates ranging from slow-moving low frequencies to extremely fast, high-energy gamma rays, depending on the source that produces them. The range of frequencies that light can produce represents the entire spectrum of electromagnetic energy, including ultraviolet, infrared, x-ray, and the visible light that allows us to see things around us. Under certain conditions, photons may act like a particle, not a wave. So, what exactly is a photon if sometimes it acts like a wave and other times like a particle? No one seems to know for sure. But it seems like a good bet that the closer we come to understanding the fundamental nature of space at the smallest scale, exactly what space is, what it is made of, and what causes it to influence matter and energy in the way that it does, the more likely it is that we will discover the true identity of the photon. One of the phenomenal things about light is that it is weightless. You can’t touch it or see it. It is energy, not matter. Yet it is what allows you to see the world. When light strikes an object and is reflected from it, the light meets your eyes and creates an image of that object in your brain. The Sun is, by far, the brightest object in the solar system. It is continuously radiating sunlight in every direction. So why is it that when we look up into the dark at night, we see a black sky. Why isn’t it blazing with light? 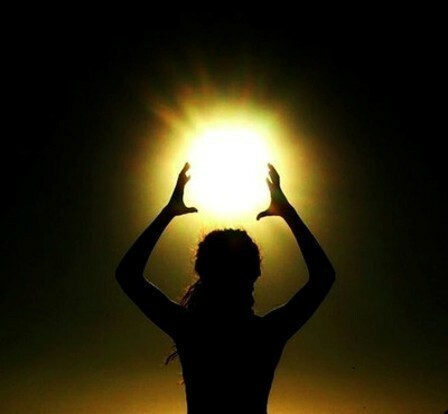 The reason is that you are only able to see when the sunlight bounces off the objects around you and strikes your eyes. At night, on Earth, the Sun is blocked and is striking only those objects on the other side of the world. Of course we can see the moon when the sunlight is shining on it, and we can easily observe points of light from nearby stars in the Milky Way galaxy. Because light travels through space at an average constant speed, it – light – tells us something about the nature of space. Einstein used this fact to formulate his famous theories about space and time. In recent years, scientists and engineers have turned concentrated beams of light into laser instruments that are used for medical, scientific, and military defense purposes. Other recent discoveries include the use of fiber optics and other optical networking strategies used in communication and computer industries. Some of the most exciting new research, known as quantum entanglement, involves faster-than-light speeds, and may represent a challenge to Einstein’s 100-year-old theories. Physicists are developing new experiments that foreshadow the science fiction of teleportation that has excited many of us at the movies and on the TV Series Star Trek. For the first time, scientists are teleporting photons across laboratory rooms and even across cities at superluminal speeds. They are at the early stages of this research, but once they have been able to repeat these experiments, substituting atoms (matter) for photons, ‘the game will be on!’ as Sherlock Holmes is fond of saying. 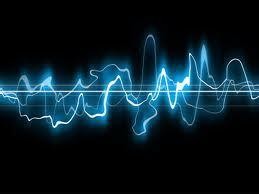 Unlike light, SOUND waves travel at slower speeds, around 750 miles an hour through air at sea level. And the speed of sound is not constant as it is with light. The speed of sound is determined by the medium through which the sound is moving. Sound travels faster in liquids than in air, faster still in solids. Some jet airplanes can fly faster than the speed of sound, creating a special kind of sound wave known as a shock wave. When an airplane breaks the sound barrier, you can hear a loud, thunderous, sonic boom coming from above your head. There are even sound waves that can travel at nearly the speed of light. But what is sound, exactly, and how does it get from here to there? Sounds are waves of energy that travel through a material medium. They are created wherever there are free-moving objects in close proximity, such as molecules that make up air, liquids, and solids. Normally, a room full of air is moving around randomly with molecules constantly colliding with one another because they are so close together. When a sound source, such as a crying baby, disturbs these motions, it creates a coherent pattern of molecules that we call an acoustic wave, or sound. When the baby cries, the sound wave it produces spreads out in all directions, forming an expanding sphere in the air. This is the result of molecules that collide with one another, pushing their neighbors forward then rebounding, repeatedly, causing the wavefront to move forward at the speed of sound. The waves of air travel through the room at the speed of sound, about 335 meters per second (1100 feet per second) or 1207 kilometers per hour (750 miles per hour), easily reaching any pair of ears that happen to be present there. When a raindrop hits the surface of a puddle, if you look closely you can see sound ripples expanding across the water in all directions. This is similar to what a 3-dimensional sound wave in air would look like if we could photograph it. Most sounds are graphically represented by a sign wave traveling from left to right on a 2-dimensional surface. This is, to say the least, a poor representation of the expanding sphere that actually travels through air. In the case of the water droplet, you can’t hear the sound because you’re not in the water – the medium in which the wave is travelling. You might hear the drip of water as it splashes against the puddle, but that is because the droplet striking the water also produces a sound wave in air. Any disturbance of molecules in air, liquids, or solids will create a similar sound pattern. And because the molecules are packed closer together in liquids than in air, and even closer in solids, the wave will travel faster. Over millions of years, our primitive ears have adapted to the molecular wave patterns in the air, so that today we are miraculously able to detect sounds from across a room, a city block, or an athletic field. When the sounds of a crying baby reach our ears they are rapidly processed in our brain so that we may respond to its needs quickly. But how, exactly, does this happen? The strength of a baby’s cry determines how far forward and backward the molecules in the sound wave move when they are vibrating. 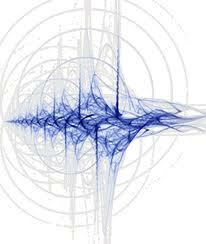 This is known as the amplitude of the wave and is determined by the extent in space of the vibration. When the wave arrives at your ears and is channeled into your brain, auditory circuits translate the strength, or amplitude, of the vibrations into what we experience as loudness or softness. We hear the baby’s giggle as soft, and its screams as loud. The rate of vibration, how many repetitions per unit of time, such as beats per minute, is the frequency of the wave, and is translated in the brain as pitch. We experience a slow vibration as a low sound and a fast vibration as a high sound. And the vibration speed depends strictly on the dimensions of the source that creates the sound. Smaller sound sources create higher sounds and larger ones create lower sounds. A big grizzly bear has long vocal chords that produce slow vibrations that we perceive as low growls. A songbird’s vocal chords are small and so they create fast vibrations that we experience as high sounds. Incredibly, all sounds that you hear, loud sounds and soft sounds, high sounds and low ones are the result of vibrating motions of tiny invisible molecules riding the wave train from whatever is making sound to your brain. There is one other important property of sound, and that is quality. What makes sounds different from one another? What makes a piano tone and a banjo tone, played at the same pitch and loudness, sound different from one another; or a barking dog, or a whistling teakettle? A pure sound contains only one vibration. It is the sound you hear when somebody strikes a drinking glass or tuning fork. All pure sounds produce exactly the same quality and, when generated at the same frequency, are identical. But most sounds are made up of not just one, but many different vibrations. The number of vibrations in a sound wave is determined by the dimension and material of the sound source that creates the sound. The quality of a sound then, depends on how many vibrations are present in the sound, and the frequency of each vibration. Musical tones are produced by frequencies that are closely related to (multiples of) one another, while complex sounds, containing vibrations of many different frequencies, are noisy. Most sounds that we encounter are combinations of noises and musical tones, although one of the frequencies in a musical tone, known as the fundamental tone, is usually stronger than the others, which is what gives the tone its identifiable pitch. Also, unlike light, there are many kinds of sound waves with different shapes and patterns, including normal traveling waves, standing waves, surface waves, internal waves, and shock waves. But human hearing is only a small fraction of the acoustic wave spectrum. The full range of sound not only occurs in gas, liquids, and organic and inorganic solids, but extends from tiny, microacoustic waves produced by fluctuations of particles trapped within a normal sound field, to giant, macroacoustic wave disturbances including weather patterns, ocean waves, seismic waves, global waves, solar waves, and galactic waves. These are all acoustic waves, by definition, and are propagated in the Earth’s atmosphere, hydrosphere, biosphere, and lithosphere, as well as on or near other planetary bodies and satellites, in the stellar wind, on the surface of stars, in interstellar dust clouds, in spiral galaxies, and in giant molecular clouds that occur in the regions between galaxies and clusters of galaxies. Not only that, sound waves throughout the universe vibrate at frequencies that range from billions of cycles per second, to a single cycle within a period of several days, months, or years. Sound waves travel at speeds ranging from subsonic velocities of several meters per second, to hypersonic velocities that approach the speed of light. Of course we cannot hear or listen to these sounds because they vibrate at much ‘lower’ or ‘higher’ frequencies than our ears are capable of detecting. So now that we know exactly what sound is and where to find it, let’s try and answer the popular philosophical question: ‘If a tree falls in the forest and no one is there to hear it, does it make a sound?’ It turns out that the answer is not philosophical at all, but has to do with biology and physics. If there is a tree growing in the forest, it means there is a surrounding atmosphere filled with molecules. When a tree hits the ground, it creates a sound pattern as it disturbs the random motions of the surrounding air. 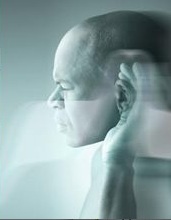 The sound travels outward in all directions completely unaffected by human hearing. So the next time someone poses this so-called philosophical question, simply answer ‘yes, it very definitely makes a sound’, and politely explain. The moon, however, is a different story. Since there is no appreciable atmosphere on our moon, astronauts landing on the moon’s surface cannot hear any sounds except for those created inside their spacesuits filled with air. An interesting historical note. In 1789, responding to the complaints of a deaf friend, Benjamin Franklin performed an ‘exact experiment’ in which he cupped his ears with the palm of his hands, placing his thumb and fingers behind the ear, pressing it forward and widening it. Franklin found that he ‘could hear the tick of a watch at forty-five feet distance by this means, which was barely audible at twenty feet without it.’ This is an increase in the amplification of the sound by about fifty per cent. The experiment was performed at midnight when the house was still. Two things about the eye. (1) Eyes have evolved independently many times in many different creatures over millions of years, and (2) The eye of the lobster was used as a model for the development of the telescope lens.